If you have ever wondered about those ubiquitous NOAA all hazards radio (formerly National Weather Service radio) station, wonder no more. 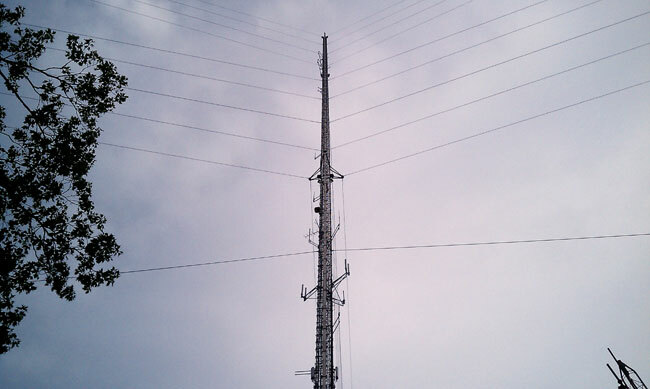 These stations transmit on one of five frequencies in the 162 mhz band with power ranges between 250 and 1,000 watts. There are over 1,000 transmitters scattered throughout the country including outlaying territories like American Samoa, Guam, Northern Marianas, Virgin Islands and Puerto Rico. The original 1958 plan was for these stations to transmit Aviation and Marine weather forecasts. The system was expanded for use by the general public in the early sixties. Since that time, it has been slowly expanding until, with the most recent survey concluding that NOAA weather radio station can be received by 95% of the US population. One of those stations in my neck of the woods is due for a transmitter upgrade. WXL-37 uses two Scientific Radio Systems SR-416P transmitters, as a main and a standby. The programming audio comes from the NWS office in Albany, New York, via TELCO line. The old transmitters are tube type made by in 1976. They are reliable transmitters, however, after 34 years of continous use, they are getting a little tired. They are also big and bulky and since Scientific Radio Systems went out of business, not supported. 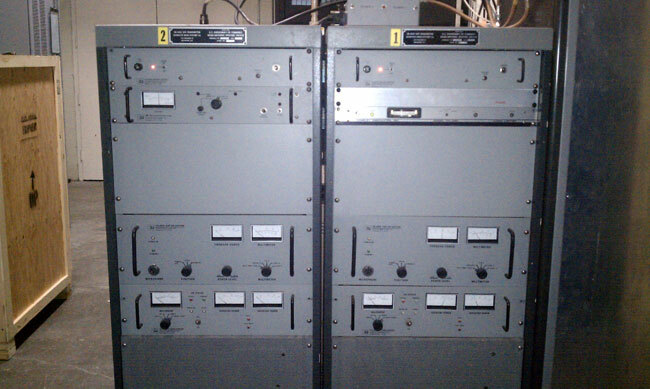 This year, NOAA is replacing these transmitters with a Nautel NG1000. I have worked with Nautel’s military grade transmitters before and found them to be extremely rugged. Those transmitters are what the original AMPFET design was based on. Nautel is not the only vendor that NOAA is using however, others include Armstrong Transmitters and Crown Broadcast. The Nautel NG1000 is a little thing, taking up about half an equipment rack with an outboard cavity filter and dummy load. There are two drawers, a controller an antenna switch and a remote control. Each drawer is it’s own 1 KW transmitter. The GUI is a on a laptop, which is what I prefer. If there must be some sort of computer driven GUI, then make it removable, so that when lightning strikes the 1,000 foot steel lightning rod 25 feet away, it doesn’t get blown up. Each transmitter is connected to a 30 AMP 240 Volt breaker via a 4 prong twist lock plug. The antenna for this station near the middle of this 1,000 foot tower, thus the station gets excellent coverage with a TPO of 1,000 watts. On a related side note, the computer synthesized voices normally heard on NOAA stations took several years to evolve. Remembering when this began back in the mid 1990’s with “Paul.” Several years later, “Craig” and “Donna” were introduced. Finally, “Tom,” which is able to change voice inflections for emphasis. When I was in the Coast Guard, we did high seas synopsis and forecast on HF without aide of computers. At times, especially during typhoon season, it got a little busy in the weather broadcast position. There are advantages and disadvantages to both methods. Personally, I’d rather hear a human voice, especially in a crisis. Another waste of money for the U.S. taxpayer. Before 162.4 MHz., we had commercial broadcast stations broadcasting local weather and storm alerts. I think that worked fine for me. Now, we have tower leases all over the country for Big Brother’s Computerized digital voice gabbing away 24 hours a day, burning up the power grid, and buying Canadian transmitters. At least when this bloated bureaucracy started, they bought Scientific Radio brand Transmitters made in the USA, then a little later Energy-Onix transmitters, also USA built. And the cost of supporting this fango-dango across the country? Coming Soon, namby-pamby broadcasts of the pollen count, food cholesterol levels, and obesity seminars. What ever happened to limited government???? I disagree with you on several points. First of all, not all government is bad. There are government departments and agencies that provide good services for the public, the National Weather Service is one of those. Secondly, most commercial broadcast stations have abdicated responsibility for public warning. They operate via computer automation and are unattended most hours out of the day. That is the current business model and I don’t see that changing anytime soon. Therefore, the NOAA transmitters provide weather and other emergency warning information to the public at large. Think of it this way, if they county executive (or whatever they are called in Wisconsin) needed to call the local radio station to announce that a chlorine leak was occurring at the water plant at 1 am, would he be able to? Not likely. One the other hand, one call the area weather service office and they would activate EAS, which is the closest thing we have to some sort of public notification network. There are some functions of Government that are necessary, otherwise it would be an anarchy. Look at it this from this perspective; prior to Bubba signing TA96, the 1934 Act was the law as far as electromagnetic spectrum regulation with the “Public Interest, Convenience, and Necessity” as its tenets. Our government has de-regulated much of the industry, and much of what they have de-regulated is bad policy. A standard broadcast station was originally viewed as a public trustee, and required to have a log that reflected public affairs, public service, news, and the like programming. The industry made a lot of money even though they had to give away some air time. It is kind of similar to the U.S. Mail delivery personnel doing a mail route by walking and getting on a city bus for free as part of the deal. Today, the U.S. Postal Service has thousands of vehicles, few storage boxes, is unionized and has become a bloated bureaucracy with red ink to the tune of nearly 4 Billion dollars. Limited government is not anarchy, because we hopefully still have the Constitution. You have previously stated that the “nanny state can be annoying”, and I agree wholeheartedly. I personally believe in rugged individualism, limited government, and to freedoms interpreted when the Constitution was drafted. Times do change but our government is way out of control. Incremental loss of freedom is like a person slowly going deaf and is occurring before our eyes, and if we believe that Government is God, we are stone deaf to even realize what we have lost. I do not believe that government is god, and yes, I find “nanny state” policies to be annoying. At the same time, I want to know when a tornado is coming. Time was, commercial radio stations would provide that information as a part of their “public interest” requirements. No longer, as it seems the bean counters have done away with most radio news rooms and indeed, most radio station staffs to boot. So the question is, where does one go to get emergency information? What about tornado and air-raid sirens provided by local governments? And around here we have 3 TV stations with good sized full-time news departments all competing to be first with the latest news stories. And as far as radio broadcasting is concerned, we have two stations with live news broadcasts done by the station’s staff that will interrupt a program in progress. In fact the current EAS alerts most of the time are annoying to listen to, and occur after a station announcement of the alert. Maybe out in the boondocks, you may have a point; but in metro areas, I still believe it to be a waste. After all, during the Cold War of the ’50’s and ’60’s, we got along just fine without it. And, maybe now it should be a broadcasters duty to do a little more as I have mentioned rather than levy one gargantuan Federal program after another upon the taxpayers. There are no such sirens provided by local governments. The TV stations from NYC and Albany do a good job with weather and other information, but I normally don’t watch TV. Further, there are no local radio stations that I would trust to 1) be manned 2) if they are manned, have trained staff around to handle an emergency and 3) pass along the information in a timely manner. I have NOAA wx receivers in my house and truck. In the winter of 2006 we had a tornado touch down about 1/2 mile away in the woods during a December thunderstorm. It happened at 6 PM and after the Wx radio went off, I had just enough time to grab the kids and get in the basement. We came up about 10 minutes later and found everything was okay, one of our neighbors, who had a tree land on his house was not so lucky. He died. That is why NOAA and the NWS is important. I know little about New York except that it is a “TAX HELL”, as is Wisconsin, and would have expected a siren alerting system as we have. There are citizens walking the streets that may have only a cell-fone or pager that would be out of luck if they had to depend on a 162 MHz. NOAA transmitter. The siren alerting systems are old, but work effectively. And, the idea was for the citizen to tune in a standard broadcast station after being alerted by a siren. I put a LPFM on the air in 2008 at one of my sites and the EAS requirement was for 3 receivers. One on WGN (720), one on WBBM (780), and NOAA (162.475). Seems like overkill to me. Maybe with Obummacare, the next mandate will be for everyone to buy a personal 162 MHz. scanner receiver and carry it on their person in order to get health alerts along with important other government alerts. This just might be eligible for a “Stimulus” voucher! If you want to split hairs about the federal budget, then, okay. NOAA, parent agency of the NWS has a $5.6 B budget for FY11, of which about $1B is for the NWS. DOD has a $708.2B budget for FY11, much of which is secret, but much of which is for things like the F-22 and F-35 fighter jets, which were designed to challenge similar aircraft and are fine platforms, but have no role in the current wars we are fighting. The Navy also has something called the LCS, which is costing almost triple the budgeted amount and a Zumwalt class destroyer, an expensive stealth design that also cannot defend itself. The totally new DHS has a $73.3B budget, most of which is secret. Many DHS programs involve possible violations of the 4th consitutional amendment. DOE has a $56.3B budget, etc. Then there is the medicaid prescription drug bill (part D), $727.3B. Add to that, things like subsides for the oil, coal and natural gas industries, and you are right, the government is bloated and out of control. Surely there is a lot of low hanging fruit. I still would prefer to know when a tornado is coming. Yeah, calmly-reasoned rational balanced discourse there. The late Senator Everett Dirksen (R-IL) was quoted as saying; “A Billion here, and a Billion there; pretty soon we’re talking some real money”! The liberal mindset usually always wants everything, but paying for it is a subject off the record. So now we no longer have PSAs (Public Service Announcements), and all of the spot announcements for the U.S. Postal Service, the Army, Navy, Air Force, National Guard, Coast Guard, usa.gov, EPA, CPA, and all the others are now paid for with tax dollars thru advertising agencies who of course get a commission. Now, my carefully “calmly-reasoned rational balanced discourse” says that things were better years ago when broadcasting made some real money. The way I see it is this; the trend on deregulation has gone too far, yet the regulatory agency (FCC) has exploded in size and become an empire! The public interest, convenience, and necessity today have been relegated to the ash heap of “M” Street. The old 7-7-7 rule on ownership gave the country diversity and more freedom of opinion in the limited amount of domestic broadcast spectrum allocated. Today, we have little competition with only two or three operators in a large market. Maybe Gingrich was right a few years ago when he talked about eliminating the FCC. As long as the FCC is regulating broadcasting, conducting spectrum auctions, giving the green light to digital noise generators on the AM band, and BPL, the least they could do would be to remember the 3 tenets of the 1934 Act that created the agency. If they continue to ignore them, maybe they should be downsized or eliminated. And since EAS is annoying but viable, I still think installing 162 MHz. 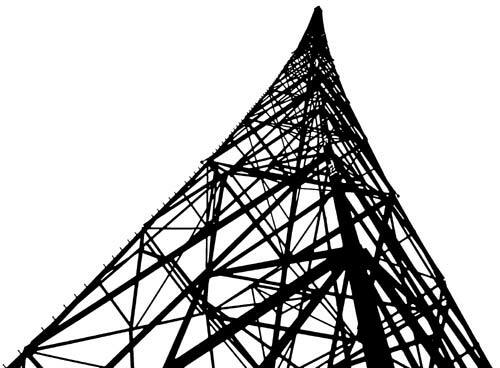 transmitters all over the country with the equipment cost, tower leasing, maintenance, and energy consumption is really not needed, especially since the country is going broke. The liberal mindset usually always wants everything, but paying for it is a subject off the record. Your generalization does not match the facts at hand; Regan, Bush I and Bush II (conservatives, all) greatly increased the national debt. Carter increased it moderately and Clinton began paying down the national debt. Both Conservative and Liberal mindsets want to spend money that they don’t have, the difference is what the money gets spent on. Conservatives like military spending, liberals enjoy domestic spending. And I still want to know when a tornado is coming. I wouldn’t call any of the Bush’s “conservative” by any means. Do you remember “Read My Lips – No new taxes”? And then in 1990, he signed the appropriations bill raising them! And then when asked about this campaign speech three years earlier, he remarked; “Sometimes you have to go along to get along”! As to Reagan, he took over a bad economy from his predecessor, but got a bill through drastically lowering the income tax rates. This was a milestone. I was against the Chrysler loan at the time, but a competent executive who happened to be a car nut, actually paid back the loan years early. There was real growth in the auto industry through the acquisition of Jeep and a myriad of trucks and sport utility vehicles in his showrooms. I believe America should have a strong defense, and Reagan believed that also. However his teachings as a child in Illinois left him to avoid wars (Armageddon) by building an extreme defense, such that no country would dare attack. He broke the Soviet Union while America’s prosperity soared. If the same philosophy had continued without Bush and the Mideast wars, I believe we would be in much better shape today. As to tornados, EAS is the current national alerting system for broadcasting on AM, FM, and TV, and has more types of alerts that one can imagine. And most local (county) governments have ‘Offices of Emergency Government’ which are funded with the federal tax dollar already to operate sirens. The 162 MHz. continuous duty base stations have duplicated an already viable system and further expansion is unwarranted. In Australia, we are in the initial stages of disseminating emergency information via SMS. It has the advantage of nearly everyone having a phone, and it beeps (or plays some horribly infuriating and overpriced ringtone) An advantage of this system is that you can send a message to all users on a tower, so you can target specific geographic areas. But I wonder if social media through Twitter and Facebook now provides more accurate and faster information? By the time information goes up the chain of command and is formally released it sometimes to late, as we have seen during wildfires. Just to clear things up by the post made by J. Aegerter, the Nautel NG1000 & NG300 weather radio transmitters are built by Nautel Inc. in Bangor, Maine. They are built in the USA. I agree with Paul,…I STILL want to know when tornado is headed my way. Here in Indiana,we still have live storm alerts ALONG with NOAA,and both do a very good job of getting the alerts out when there is impending weather. WOWO out of Ft. Wayne,In. is very good about broadcasting alerts along with WBCL,…with live station staff giving those alerts. With the NOAA,it would be nice to hear a live voice,rather than a computer generated voice,announcing the alerts. But keep in mind,not all stations will have the budget for a full time staff. 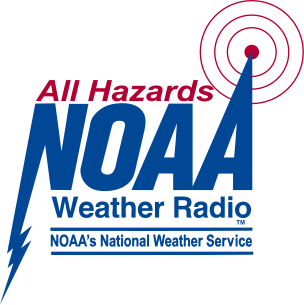 Gov’t controlled or not,I don’t think for one minute the NOAA All Hazards Radio service is a waste. Come to think of it,I NEED to buy a weather alert radio even though my “camping” GMRS radios have an NOAA weather band on them,…but their problem is they don’t come on automatically when severe weather is approaching! One thing I forgot to mention is that the NOAA felt is was time to upgrade the transmitter,and so they did. You can’t expect those things to last forever no matter how well they are built and how reliable they may be. 34 years of dependable service out of one transmitter sounds very good to me. The taxpayers do, indeed, seem to be getting a lot of bang for the buck here. I’m no fan of unrestrained bureaucracy, but Uncle Sammy may have gotten this one right (it does happen, y’know). Considering the size and transparency of NWS, I suppose they’re an easy target for politicos looking to “decrease spending” without offending the ones who keep them in office (no, kids, it isn’t the voters). I agree with both sides – gov’t needs to live within it’s means (as we all do), but gov’t also serves an important role in all our daily lives. GOP or Dem – it makes no difference when it comes to wasting money and being out of touch. Balance is the key, not political pettiness. You see any balance in D.C.? I lived in tornado alley for over half my life, and can tell you that you can’t have too much advanced warning. Once the twister is down, you can’t count on sirens, electrical power, or civilization anymore. It’s survival in it’s most raw form. You can’t understand how terrifying that is until you’ve been there. A few precious seconds can save your life – that could be the seconds your local broadcaster chooses to air it’s commercials (it *is* called commercial broadcasting). The NWR network operates in the light of day, on a small budget, and has proven to save lives many, many times over. How many lives has DHS saved thus far? Who knows? – their books are closed to the public. I say we reduce congressional salaries, corporate handouts, and influence-peddling before we axe programs like NWR. In the real world, that’s called earning a living. In the kingdom of Taxopolis, it’s called being a chump. operator,I now have an NOAA Weather Alert Radio in my shack along with my two HTs,and my main HF rig. MY NOAA Weather Alert Radio does it’s job alerting me of impending weather headed my way. We still have tornado siren here in Bluffton,In.also! NOAA transmitter upgrade is not a waste of money. I would not ever depend on a phone system of any kind or even the internet for weather warnings as those systems can be disabled in a really bad storm. Give me NOAA radio any day of the week for storm alerts. 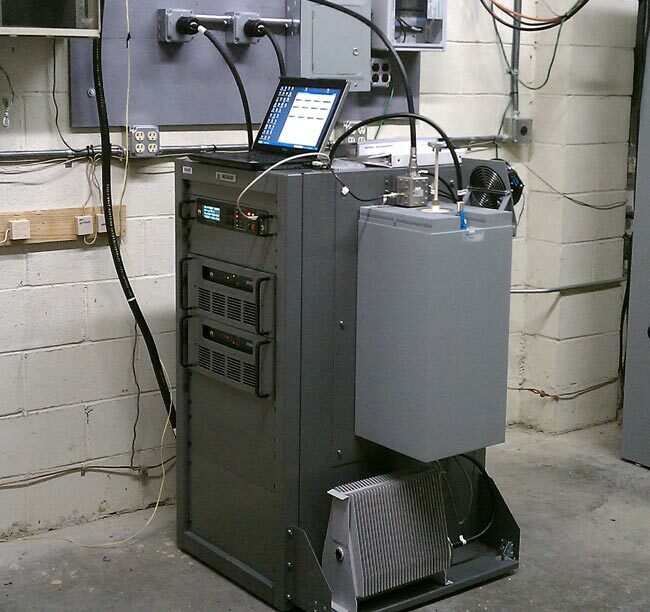 It’s been a year since we did this work and that Nautel transmitter has a 100% up time since installation. I’d call that a good investment. transmitter in my transmitter plant,too,…be it an NOAA station or a regular broadcast radio station. I’m impressed with the fact that the SRS transmitters worked for 34 years and were still kicking. I worked at Scientific Radio running the wave solder machine. I probably touched a few boards in that set of racks. Thanks for the memory. Mike, those transmitters are now in a warehouse in Binghampton, NY. They were solid units, I’d say they still have life in them, if the government ever decides to sell them, some Ham could modify them for 2 meters or something. Thanks for your very interesting and informative article. In Memphis, we have the NOAA Weather Radio Station WXK49, which operates on 162.475 MHz at the maximum allowed power of 1 kW. Is that stated power the TPO, or ERP that the FCC regulates? What’s the typical dB gain and typical ERP of these stations? @David, the FCC does not license NOAA weather radio stations, they are coordinated through the NITA, which is the same agency that coordinates the VOA and all the military radio facilities. Maximum ERP is 1 KW, which is typical, however, there are many stations running 500 or even 250 watts ERP. The coverage areas are predicted using RF software (I don’t know which program, but it probably uses Longly-Rice) and the stations are built accordingly. There are usually several station receivable at any given location using an outdoor antenna. The key is to find the station broadcasting to your particular location. When will WXL37 be back up. A/O last report it was to be back up 9/14. Running late? How about a status update?